It’s been a while since we had time to sit down and review some of the awesome (and sometimes not so awesome) brands that get sent our way. Between trying new recipes, and working on outside projects we’ve kept pretty busy. 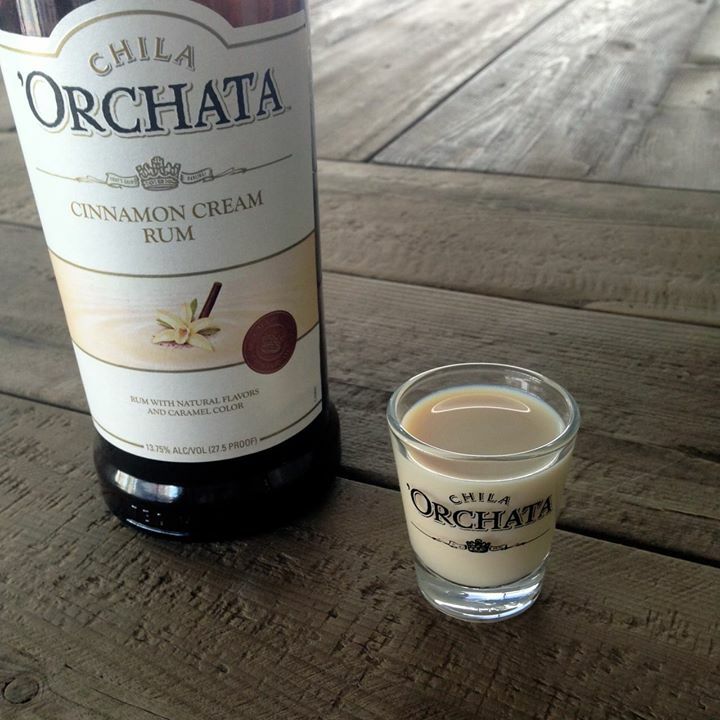 But we’re back at it ready to share one we both loved: Chila ‘Orchata Cinnamon Rum Cream. Looks Like: Chila comes packaged in a stubby bottle, copper in color. It the land of creamy liqueurs, it sticks out, and all together is a nice package. Though it’s price tag is cheaper, buying this one as a gift might fool whoever’s on the receiving end. Smells Like: No lie, this one honestly smells like a fresh scoop of vanilla ice cream. Brands do a great job these days of emulating smells to attact us as buyers, and this one has won me over. Reminds me of freshly made vanilla milkshakes. Tastes Like: Ok, so regardless of the bottle and the smell, it all boils down to how the stuff tastes? The Verdict? Knocks it out of the park. We actually tried the mini of this product first, and both I and Lori found ourself licking the cap. It was that good. Unfortunately our larger bottle didn’t quite make it to the tasting table. It was in the fridge waiting for trial later that night when our son knocked it down while attempting to grab one of his snacks. Needless to say the kitchen floor was sticky as hell, but left an awesome smell. No worries though, we stopped at the store the next night and got a replacement. We liked that it was creamy, but not too thick, almost like a slightly thicker milk consistency. The flavor was perfect, strong notes of vanilla, hints of cinnamon, and wasn’t so sweet that you could only imagine it in dessert drinks. Final Word: Grab a bottle. I look for a pattern when deciding what brands I purchase on a regular basis. Priced right, tastes good, and can be used in a multitude of drinks. This one hits the trifecta. 15 bucks, tastes great, and can be easily subbed in your drinks usually calling for Irish cream or coffee liqueur. We added a splash to our morning coffee, and it made a hell of a white Russian. It’s available nationwide, but feel free to visit their website at www.chilaorchata.com or check out their facebook page to find a location near you. Liked this review? Be sure to leave a comment below and let us know what you thought. Check out or fan page and Like us on Facebook. For more great reviews and cocktail recipes be sure to sign up for our mailing list below and check back often. Hi i love this product but how long can i keep in the fridge after opening it….